Microsoft has confirmed that it’s ending support for old versions of Internet Explorer, and it’s giving you just shy of 18 months to get up to date. Roger Capriotti, director of the IE team, blogged on Thursday that beginning on January 12, 2016, only the most recent version of IE on any supported version of Windows will continue to receive technical support and security updates. As of today, that means IE9 on Windows Vista SP2 and Windows Server 2008 SP2, IE10 on Windows Server 2012, and IE11 on any later version of Windows (including Windows Server 2012 R2). In fact, the only reason IE9 is still being supported on Vista is because no later versions will run on that little-loved OS. IE9 never won high marks from web devs, and Google, for one, has already discontinued support for it in Gmail and Google Apps. “For customers not yet running the latest browser available for your operating system, we encourage you to upgrade and stay up-to-date for a faster, more secure browsing experience,” Capriotti wrote. Microsoft is a late convert to web-standards religion, having spent the better part of 20 years releasing browsers that rendered sites in ways that were incompatible with rivals like Firefox, Chrome, and Safari. These days, the software giant markets standards compliance as a key feature of IE11, and it has even gone as far as to claim it’s had to build workarounds into its browser to support websites that are coded using the competition’s nonstandard features. Redmond even seems to want to atone for its own past bad behavior. It’s now encouraging commercial customers who have built their bespoke web apps for older, patently terrible versions of IE to upgrade to IE11 and use its “Enterprise Mode” to maintain backward compatibility with those standards-shirking browsers. Enterprise Mode, which Microsoft shipped with the Windows 8.1 Update and as a standalone patch in April, makes IE11 behave like IE8, even going as far as to announce the old version to websites and ActiveX controls that have been hard-coded for specific browser releases. Concurrent with its announcement of the end of support for old IE versions, Microsoft said on Thursday that it will continue to support Enterprise Mode through the full lifecycle of whichever OS IE11 is running on – meaning it will be supported on Windows 7 through January 14, 2020, for example. As Microsoft points out, however, most consumers won’t have to worry about much of this – at least until their version of Windows reaches the end of its lifecycle – because they get the latest version of IE installed automatically as a function of Windows Automatic Updates. Toshiba Laptop Repair, Toshiba Computer Repair, Toshiba parts, Laptop Screen Repair, Laptop Charger repair, Laptop Repairs, screen installation, screen replacement, laptop charger repair in Fort Lauderdale, Miami, Boca Raton Boynton Beach and all South Florida. Laptop Screen Repair, Laptop Charger repair, Laptop Repairs, screen installation, screen replacement, laptop charger repair, chargers for sale in Fort Lauderdale, Miami, Boca Raton Boynton Beach and all South Florida. 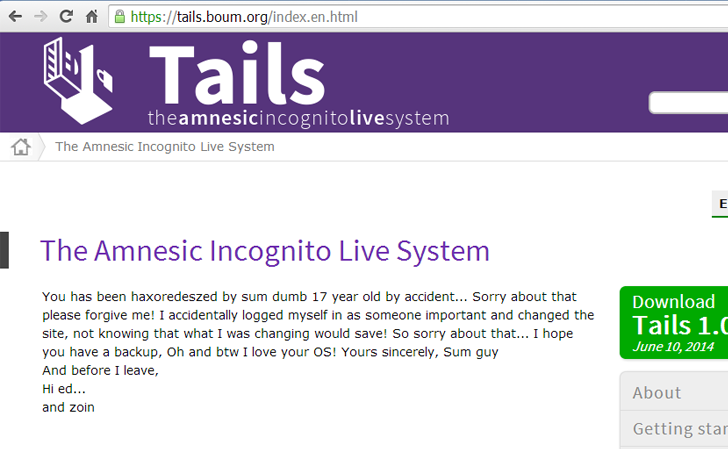 Just a few hours ago, the Official website of the Tails Operating System has been hacked and it appears that a self-proclaimed 17-year old hacker breached and defaced it. Defaced Link: https://tails.boum.org/index.en.html. However, all other pages on the Tails website are working just fine, but at this moment it is not clear whether the hacker has also modified the OS Image or not. So readers are advised to do not download the Tails OS from the website, at least for a few days. Tails, also known as ‘Amnesiac Incognito Live System‘, is free software based on Debian GNU/Linux and you install it on a DVD or USB drive, boot up the computer from the drive. This allows you to work on a sensitive file on any computer and prevent the data being recovered after the computer is turned off. Tails was reportedly used by the NSA Whistle-blower Edward Snowden in discussions with journalists because it includes a range of tools for protecting your data by means of strong encryption. 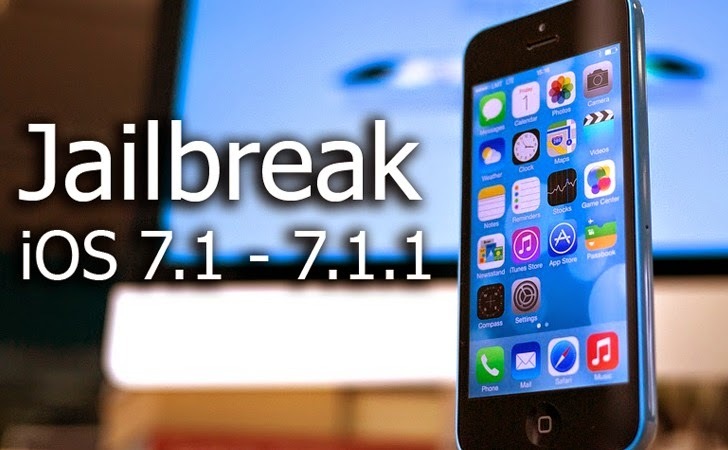 Quite Surprisingly, a team of Chinese hackers, Pangu have released an untethered jailbreak for iOS 7.1 and iOS 7.1.1. This untethered jailbreak is compatible with iPhone 5s, iPhone 5c, iPhone 4S, iPhone 4, iPad Air, iPad 4, iPad 3, iPad 2, iPad mini, Retina iPad mini and iPod touch 5G running iOS 7.1-iOS 7.1.1. The jailbreak tool is currently available for Windows but works on every iOS devices. Many iOS users have posted on Reddit that the tool works successfully. Jailbreaking is a process of removing limitations on iOS devices, Apple’s operating system, so you can install third party software not certified by Apple. Such devices include the iPhone, iPod touch, iPad, and second-generation Apple TV. One question rises in my mind that when Apple’s system root protections have been greatly enhanced in an effort to make jailbreaks more difficult, then what’s the whole story behind the unexpectedly release of this jailbreak tool? It’s worth noting that the jailbreak is available from a new team and the said hack is the first from the team. The controversy behind the sudden release of the jailbreak apparently came from one of the exploits used by a security expert and known jailbreaker Stefan Esser, aka i0n1c, who show off the method to jailbreak the iOS 7.1.1 using iPhone 5C during his training session. The jailbreak tool (download here) apparently installs the most popular third-party app installer Cydia, but also throws in a Chinese store with apps unsanctioned by Apple. However, world-renowned software developer and a very well-known iOS hacker, H8sn0w has confirmed via Twitter that the jailbreak tool does not contain any spyware or malicious software in it and is safe to use. A new and relatively rare Zeus Trojan program was found which is totally different from other banking Trojans and has capability to secretly steal data from forms, login credentials and files from the victim as well as can create fake web pages and take screenshots of victim’s computer. Researchers at RSA Security’s FraudAction team have discovered this new and critical threat, dubbed as ‘Pandemiya’, which is being offered to the cyber criminals in underground forums as an alternative to the infamous Zeus Trojan and its many variants, that is widely used by most of the cyber-criminals for years to steal banking information from consumers and companies. The source code of the Zeus banking Trojan is available on the underground forums from past few years, which lead malware developers to design more sophisticated variants of Zeus Trojan such as Citadel, Ice IX and Gameover Zeus. But, Pandemiya is something by far the most isolated and dangerous piece of malware as the author spent a year in writing the code for Pandemiya, which includes 25,000 lines of original code written in C.
Like other commercial Trojan, Pandemiya infect the machines through exploit kits and via drive-by download attacks to boost infection rate that exploit flaws in the vulnerable software such as Java, Silverlight and Flash within few seconds victim lands on the web page. Pandemiya’s coding quality is quite interesting, and contrary to recent trends in malware development, it is not based on Zeus source code at all, unlike Citadel/Ice IX, etc.,” researchers from RSA, the security division of EMC, said Tuesday in a blog post. “Through our research, we found out that the author of Pandemiya spent close to a year of coding the application, and that it consists of more than 25,000 lines of original code in C.
Pandemiya Trojan using Windows CreateProcess API to inject itself into every new process that is initiated, including Explorer.exe and re-injects itself when needed. Pandemiya is being sold for as much as $2,000 USD and provides all the nasty features including encrypted communication with command and control servers in an effort to evade detection.The Trojan has been designed with modular architecture to load more external plug-ins, which allows hackers to add extra features simply by writing new DLL (dynamic link library). The extra plug-ins easily add capabilities to the Trojan’s core functionality, that’s why the developer charge an extra of $500 USD to get the core application as well as its plugins, which allows cybercriminals to open reverse proxies on infected computers, to steal FTP credentials and to infect executable files in order to inject the malware at start up. The advent of a freshly coded new trojan malware application is not too common in the underground,” Marcus writes, adding that the modular approach in Pandemiya could make it “more pervasive in the near future. 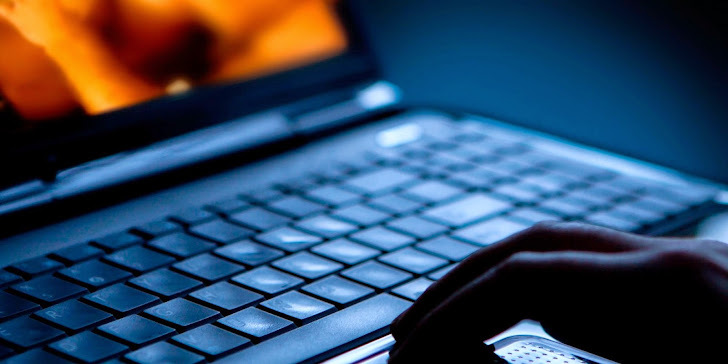 The malware developers are also working on other new features to add reverse Remote Desktop Protocol connections and a Facebook attack module in order to spread the Trojan through hijacked Facebook accounts. Locate the registry key HKEY_LOCAL_USER\Software\Microsoft\Windows\CurrentVersion\Run and identify the *.EXE filename in your user’s ‘Application Data’ folder. Note the name, and delete the registry value. Locate the registry key HKEY_LOCAL_MACHINE\System\CurrentControlSet\Control\Session Manager\AppCertDlls. Find the value with the same name as the *.EXE file in the previous step. Note the file name, and remove the value from the registry. Reboot the system. At this stage Pandemiya is installed but no longer running. Delete both files noted earlier. This will remove the last traces of the Trojan. Your system is now clean. In yet another method for cyber criminals to utilize the world’s most popular social networks for their own nefarious purposes, it appears a trojan is circulating through Facebook, stealing accounts and (probably) taking creds. Thanks to the vigilant mind of Malwarebytes User, Showbizz, we were able to take a look at this new threat and what it could mean for the rest of the net. User gets a Facebook instant message from a friend of their’s, which includes the words ‘lol’ and a file waiting to be downloaded. The user downloads the file because they can assume it can be trusted. The filename matches the usual filename of a photo: ‘IMG_xxxx’.zip. The JAR file executes, downloads malware and infects the system. The infected users Facebook account is compromised and then used to send more malware to the users friends. Unlike previous versions of this scam, it is almost like the cyber criminals decided to make an amalgam of different infection tactics to obtain the normal goal. The first is the use of instant messaging, we have seen plenty of malware use instant messaging in various forms to send malicious files to victims, including Skype, MSN, Yahoo, etc.